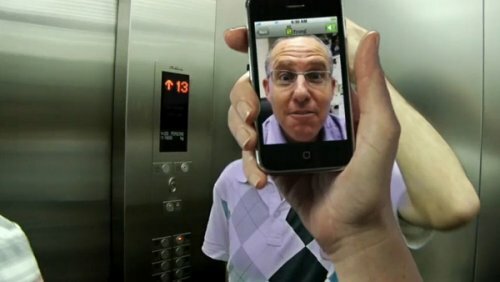 Fring was the first to bring VoIP calls to the iPhone, and now it brings on the video calling. Obviously it can’t change the iPhone’s camera placement, but it makes the most of what it has to work with. The latest version of the app will still let iPhone and iPod touch users see the person on the other end. Fring also says that it will add two-way video calling when “a front camera is placed on these.” You’ll also be able to make video calls to Skype users, but you have to be near a WiFi hotspot since it doesn’t support calls on 3G. 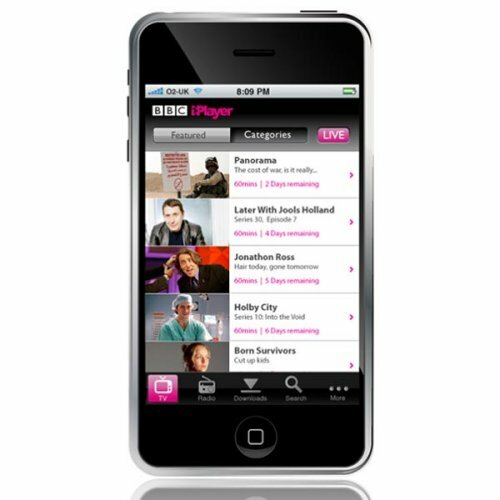 While you can already watch your favorite British TV programs on your iPhone using the BBC iPlayer service from their website, it looks like the BBC are developing an iPhone App which should bring a wider range of new BBC iPlayer services to the iPhone. The new BBC iPlayer app even could feature a download option, which would allow you to download your favorite TV show directly to your iPhone. That way you could watch it whenever you want. Some other features include the ability to watch live TV. There’s nothing official from the BBC yet on when the app will be available. Let’s face it, your iPhone doesn’t draw the kind of attention it used to now that everyone has one. 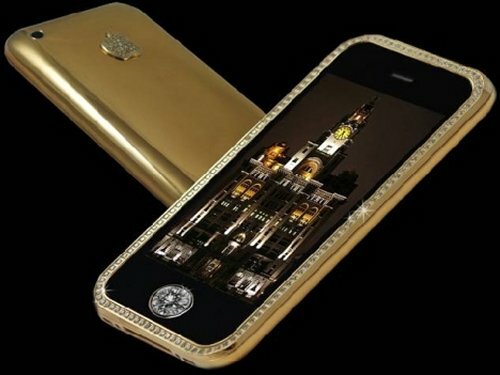 Maybe it’s time to up your game to this blinged out iPhone. Surely you have a spare £1.92m (That’s $3.2m) to drop on this thing. It is the shiny hellspawn of Goldstriker’s Stuart Hughes, who took 10 months to create it. Yeah, he’s a little slow as well as unimaginative. It was commissioned by an anonymous Australian gold mining magnate, which makes perfect sense since the phone features a bunch of gold and diamonds as well as a single cut rare 7.1 carat diamond in the home button. $99 8GB iPhone 3GS for Christmas? All you want for Christmas is an iPhone for yourself right? But it’s too expensive, what with all of the other gifts you need to buy. How does an 8GB iPhone 3GS for $99 sound? This one resides in rumor territory for now, but word is that Apple is toying with the idea of releasing the device for $99 in an effort to combat Motorola’s DROID. 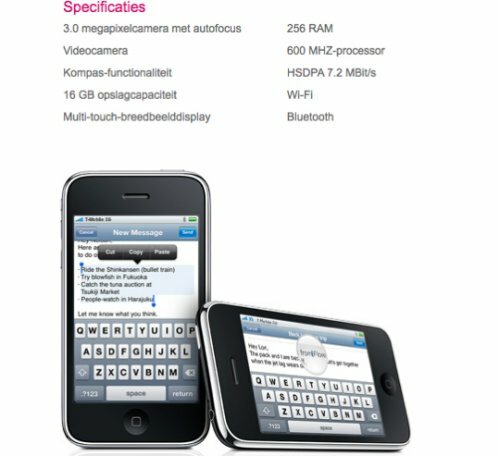 A cheaper iPhone 3GS is always welcomed, even if it is just an 8GB version, at least it gives users another option. Zodttd is a developer working on a N64 emulator for the iPhone 3GS. Will it have the power? Possibly, thanks to CPU, GPU and OpenGL ES 2.0 support that will deliver smooth N64 emulation. But don’t get too excited. Some high-end N64 titles might not be available due to the lack of power. The other issue would be the control scheme. Some of us hated the N64′s controller and found the games hard enough to play originally. 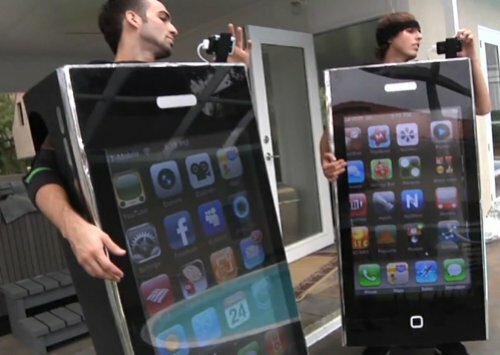 The iPhone won’t be any better. These guys win any and all costume contests hands down. That’s because Reko Rivera and John Savio created these awesome costumes using a real 42″ LCD TV. The TV’s are connected to their iPhones which are docked just above the TV. It will show whatever the iPhone display shows. It’s absolutely brilliant. But it must be hard wearing those televisions, which weigh 85 pounds each. Then there’s the weight of the batteries to power them and the wires and iPhone. Apple has announced that they will be allowing free apps to enable in-app purchases. With this update, developers will be able use their free apps as a method to get users to install it and then charge them for content like add-ons etc. It will certainly be interesting to see how this affects the whole pricing structure of the App Store. 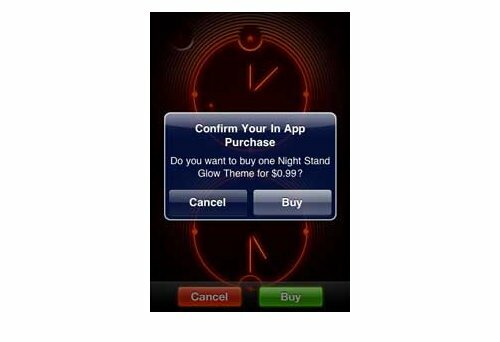 It’s a new business model for the App Store. It’s great for developers, but will consumers like this? We will see. Things are likely to get more costly for everyone. Apple’s Rock and Roll event is live and Steve Jobs is back on stage for the event. In fact Jobs just announced iPhone OS 3.1 for the iPhone and iPod touch. Here are the highlights. It’s not just bug fixes, it will also feature a bunch of new and improved features. Features like Bluetooth voice control, remote passcode lock, improved syncing, enhanced iTunes support, direct copy of contact info, new camera APIs, sponsored links and maps, and even improved exchange calendar syncing. Probably the best part of this news is that it will be free, and it’s available as of today. 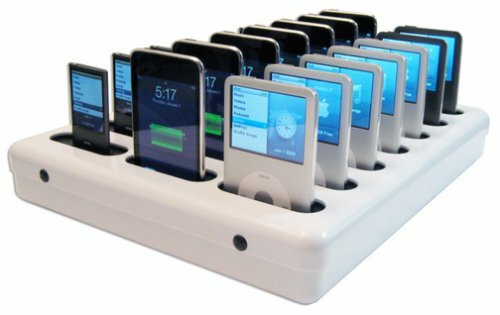 If you have several iPhones or iPods, you’ll want to get your hands on the Parasync docking station, which can sync up to 20 iPhones or iPods at the same time. That’s Apple overkill folks. It’s about the size of a sheet of paper. 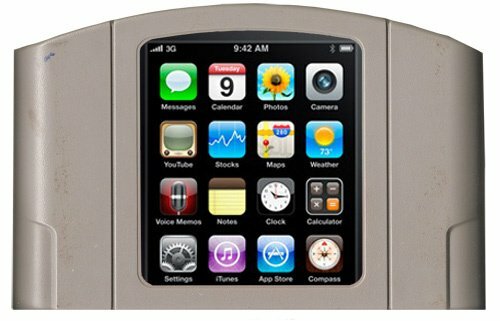 The Parasync dock is compatible with the iPhone, iPod Touch, iPod Classic and the iPod Nano. It uses only one USB cable and has been certified by Apple to work natively with iTunes. No word on pricing so far. Amidst rumors of overheating iPhones since shortly after the iPhone 3GS was launched, Apple has finally released the first acknowledgment that there might really be an issue with the iPhone regarding excessive temperatures. Various sites on the internet have posted reports of problems with the iPhone due to excessive heat such as shortened battery life, shut downs and even discoloration of the device itself. 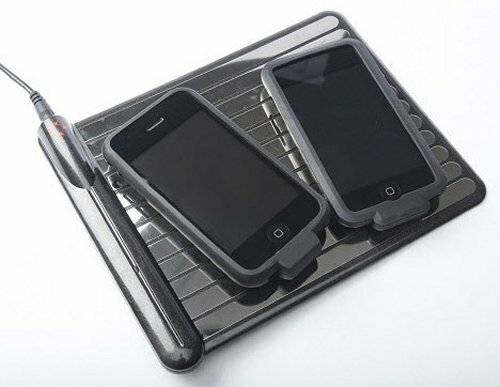 Now Apple has officially issued a warning about operating and storing the iPhone 3G and iPhone 3GS in places with too much heat. Apple suggests to only operate the iPhone 3G and 3GS in temperatures between 32º to 95º F (0º and 35º C) and to only store the device between temps of -4º to 113º F (-20º and 45º C). 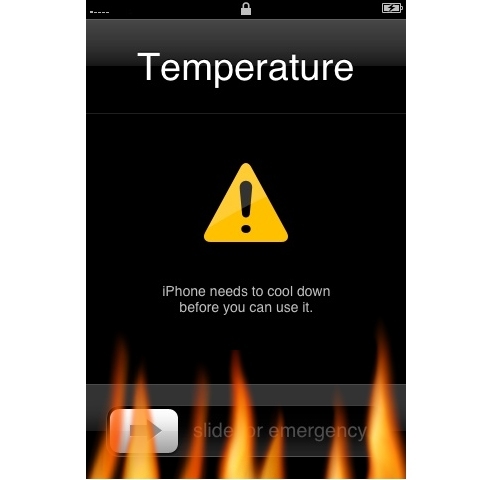 Using or storing the iPhone in temperatures beyond this range can cause the device to stop charging (which could explain a shortened battery life), a dimmer display or a weak signal. We don’t know if this is a hoax or not, but the story goes like this. Some dude was recording with his new iPhone 3GS poolside. 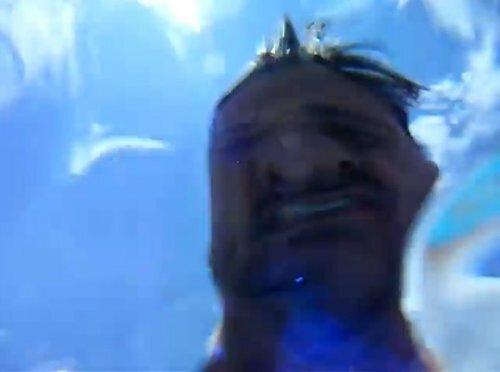 Then he drops it into the pool. Lucky for him, he was able to get it out quickly and fortunately it is still working. We don’t advise that you try this at home. We don’t know what kind of lifespan the gadget can expect from here on out, but it obviously lasted long enough to upload the video or transfer it to a computer. Check out the video below. It sure took a long time, but WildCharge, manufacturer of the WildCharger Pad, is launching its WildCharge Skins for the iPhone and iPodTouch. The pad has to be plugged into a power outlet and your mobile phone equipped with the corresponding skin. The device gets charged simply by placing it on the pad. Like magic. Well, to a dude from the past it would seem like magic. Wildcharge recently launched its Universal Adapter that acts as a Skin and is compatible with over 150 cell phones. 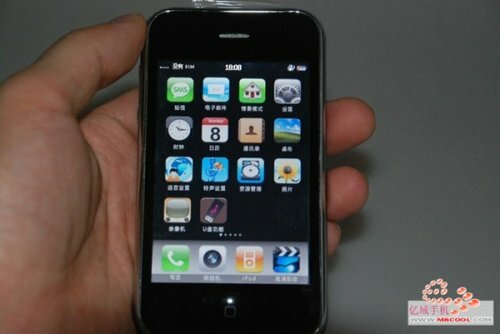 As far as looks, this iPhone 3G knockoff is dead on, even featuring an OS X-inspired interface. It’s the best iPhone clone we’ve seen yet. Which makes us kinda proud of these knockoff artists. It shows that they actually can do decent work. On the inside, you’ll find a 400-MHz Samsung CPU, 4GB of memory, and a 3.5-inch touch screen. Buy one for someone you love today. Like your grandma. She will never know, but still think she’s hip actually owning an iPhone 3G like all of those crazy kids. The S in iPhone 3G S means more than just faster 3G speeds, which is now 7.2 mbps, for the new iPhone. It also means a faster processor. 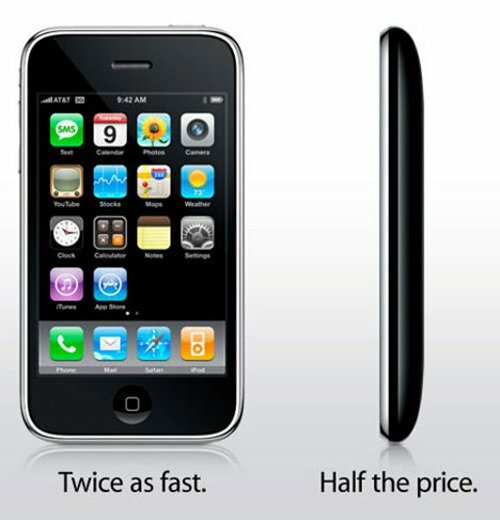 But just how fast is the iPhone 3G S? Well, thanks to T-Mobile we have the first official word on the iPhone 3G S processor: 256 RAM (that’s double the iPhone 3G) and a 600 Mhz processor. The chip is most likely built using a 45nm process, but that’s just a guess. As we all knew, Apple’s unveiled a new iPhone today at WWDC, the iPhone 3G S. The “s” stands for speed. Clever. Although it looks almost exactly like the 3G, it’s…Well, faster. Some tasks are almost four times faster. Data speeds have been upped to 7.2Mbps HSDPA, and the camera is now a 3 megapixel unit with tap-to-autofocus and auto white balance. It now supports 30fps VGA video recording with editing features. You’re also getting a built-in compass, Nike+ support, and a new battery that offers 5 hours of 3G talk time and 9 hours of WiFi internet use. That’s not all. Holding down the home button now enables a new voice control interface that lets you make calls or even control iTunes.